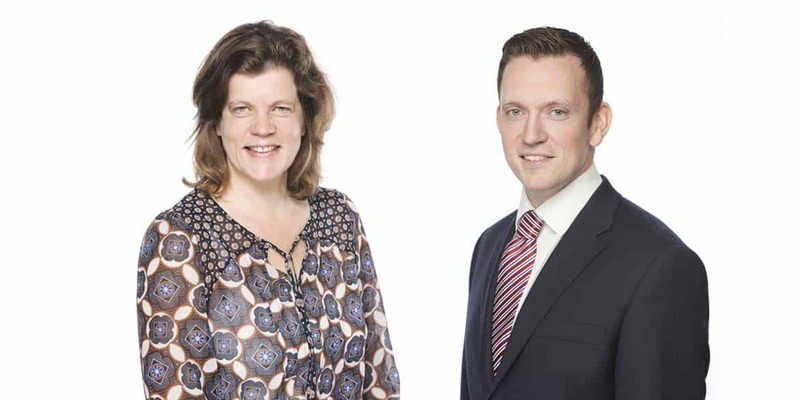 Rob Kerrigan has been appointed Managing Director and Jane Holmes as Director and Company Secretary at property consultancy firm, Kempton Carr Croft. As of April 2018, business owners Malcolm Kempton and Michael Carr have stepped down after 32 years at the helm. Rob joined the firm as a graduate in 2005 after completing a degree in Real Estate Management at Oxford Brookes University. He was made operations manager in 2015 to oversee the delivery of service and business operations at Kempton Carr Croft ahead of this transition and specialises in LPA receivership work. Jane read Natural Sciences at Cambridge University and then qualified as a chartered accountant at Coopers & Lybrand in London. She has been with Kempton Carr Croft for over 12 years. She will continue to manage the finance, HR and administration arms of the business in her new role. While the firm’s team leaders remain unchanged in their roles, Malcolm Kempton will work as a consultant from April 2018 and Michael Carr will follow suit from July 2018. Kempton Carr Croft is a large independent firm of Chartered Surveyors and RICS registered valuers. It provides property solutions for commercial and residential property and land across London and the Thames Valley.